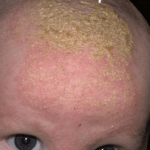 1 What is Dressler Syndrome? Dressler Syndrome is medically known as post myocardial infraction syndrome and sometimes refer to postpericardiotomy pericarditis. 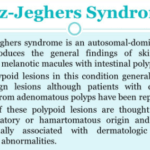 This syndrome was first described by William Dressler at Maimonides Medical Centre in 1956. He described that dressler syndrome is regarded as pleuritic chest pain, low-grade fever and fibrinous pericarditis which may be associated by pericardial effusion. Dressler’s syndrome is characteristically a post-myocardial infraction syndrome that describes an inflammation of the sac surrounding the heart or pericardium that typically occur in 2 to 5 weeks after the first event but can possibly delayed for as long as 3 months. It is being hypothesized that Dressler’s syndrome is an immune system response after some disruption to the heart tissues from some event like heart attack, after heart surgery, traumatic injury, pacemaker implantation, radiofrequency ablation, pulmonary vein isolation, percutaneous intervention and etc. The syndrome is linked to be as autoimmune inflammatory reaction to heart damage. When the body responds to the damage tissue through sending immune cells and antibodies such as proteins to remediate and repair the affected site. Sometimes, the reaction causes an excessive inflammation in the pericardium or termed as pericarditis. Usually appears within 2 to 5 weeks after the first event accompanied by pain and fever that indicates further infarction. Primary reaction of the body is to suffer from excruciating pain most often in the left shoulder; Pleuritic and severe on lying down. Causing cardiac tamponade or known to be as acute pneumonitis- wherein Inflammation of the pericardium can result to fluids to gather in the pericardial effusion or the sac. The fluid may put pressure on the heart, forcing it to work harder and plummeting its ability to pump blood efficiently. A usual sound can be heard wherein a pericardial friction rub which described as like as the sound of boots walk over the snow. It including listening to your heart via stethoscope. Because, certain sound can suggests that your outer lining of the heart of the pericardium itself is inflamed or the fluid has accumulated around the heart. Echocardiogram a device to monitor sound waves that produce an image of the heart which helps the doctor to see if the fluid is accumulating around it. Electrocardiogram another device use by medical doctor wherein the electrical impulses of the heart is being recorded via wires attached through the skin of the patient. Changes in the electrical impulses can point out pressure on the heart system. However, ECG reading can be abnormal after a heart surgery performed so the doctor won’t rely on this test in order to diagnose if you have Dressler’s syndrome. Chest X-ray this test helps to detect the fluid that is accumulating around the heart or the lungs system. It helps also to eliminate the cause for you to have symptoms such as pneumonia. Blood test another diagnostic testing that can suggest inflammatory activity that associate with Dressler’s syndrome. Steroids can be prescribed to the patients where severe symptoms have required pericardiocentesis and when the infection has been eliminated. Colchicine an anti-inflammatory medication along with OTC medication to treat Dressler’s Syndrome. Several studies claimed that this drug are taken before having cardiac surgery that might help to prevent postpericardiotomy. However, its effectiveness to treat the existing post-cardiac injury syndrome is still unclear and no further evidences has been made. Corticosteroids this immune-system suppressants can help to reduce inflammation related to Dressler’s syndrome. However, it can lead also to some adverse side effects and might possible interfere with the healing and wreckage of the heart tissue after went through of heart surgery. In some cases, corticosteroids are the only last options used when other treatment don’t work.